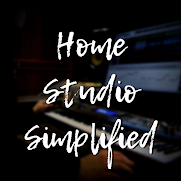 Today we interview Joe Gilder of Home Studio Corner! Joe has been another one of my long distance mentors and has helped thousands within the space of a Home Studio make better sounding music. We talk some methods, get philosophical, and even talk a little business as well.